THROWING DOWN 2 SERIOUS TRACKS IN 2018 ... check them out ! Malakiyah’s approach to music is simple. Try and stand out ! And he is true to his words, capturing the GLOBAL Hearts not only of the the internet radio listener, but also in the social media as well, rigt down to Northern Europe's VK.com where his HIGHLIGHT video reached well over 1000 views with a primarily NON ENGLISH SPEAKING LISTENER. Now that's no small feat. 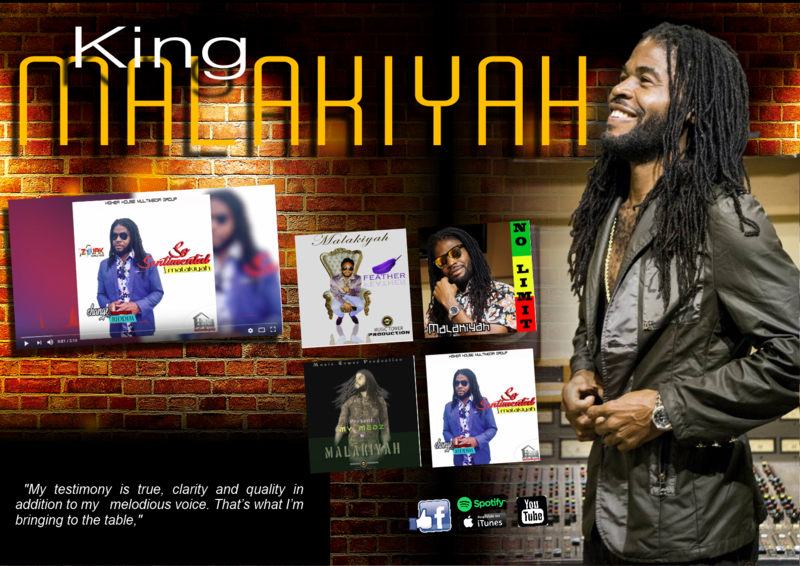 Your music collection is not complete without some King Malakiyah tracks in it so >>> PICK UP SOME TRACKS FOR YOUR MUSIC COLLECTION TODAY !!! Link up in Social Media to sty on top of this authentic and talented artist who is dead serious about making an impact not only on the music scene but in the hearts of his GLOBALlistener as well. "My testimony is true, clarity and quality in addition to my melodious voice. That’s what I’m bringing to the table,"